This process generates checkshots from a chosen velocity model. 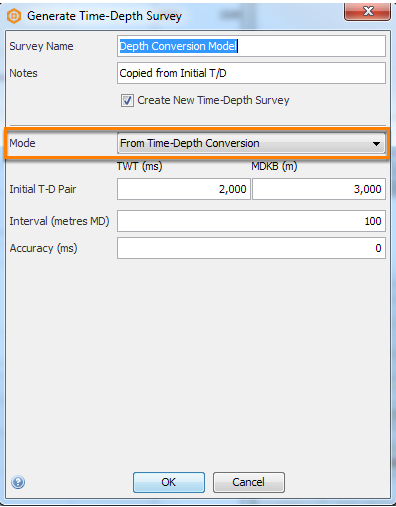 Set the time-depth survey as the default time-depth pairs in the well. From the Tool menu, open the Synthetics view. 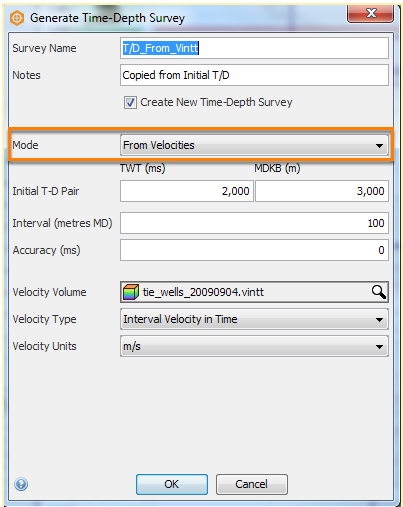 At Mode, select From Velocities. Initial T-D Pair: An initial time-depth pair. Interval (MD): Minimum MD interval between consecutive generated checkshots. Velocity Volume: Velocity volume to use as the input. Velocity Type: The type of data in the selected velocity volume. Velocity Units: The units of the selected velocity volume. 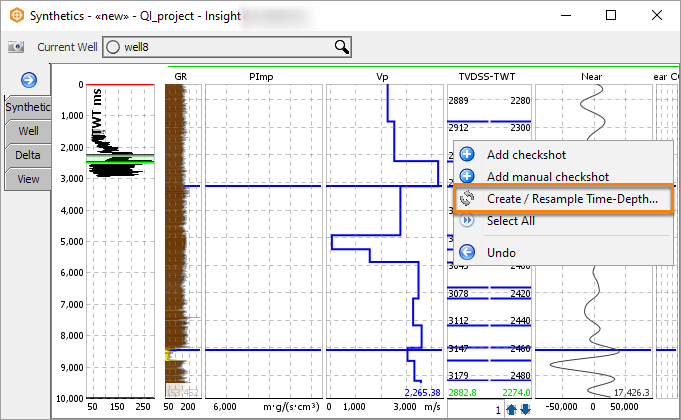 Time-Depth checkshots can be generated from the project’s pre-configured time-depth conversion model. 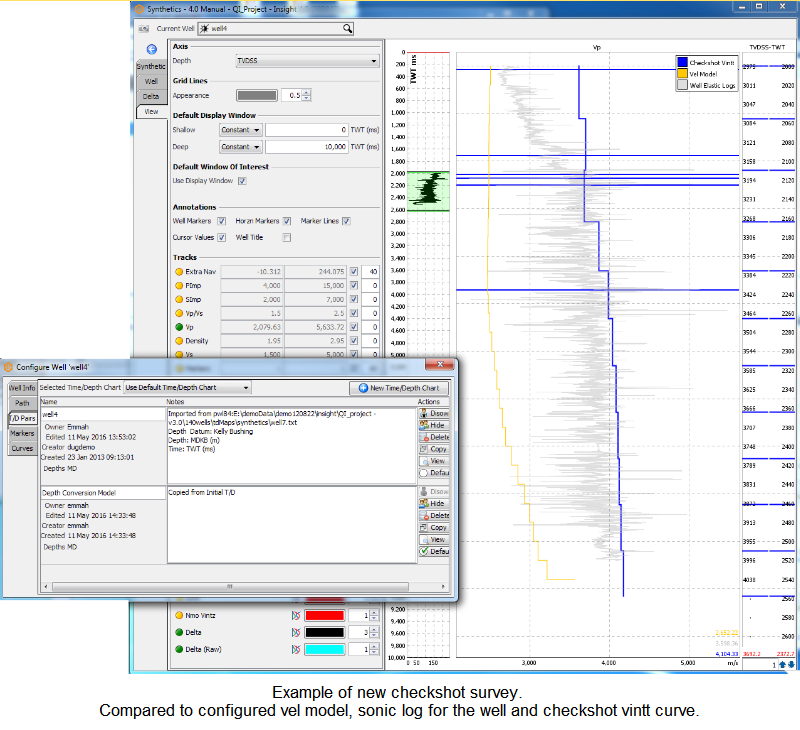 To configure the time-depth model, open the File menu and select Configure Time-Depth Conversion. Select a Velocity volume. At Mode, select From Time-Depth Conversion.